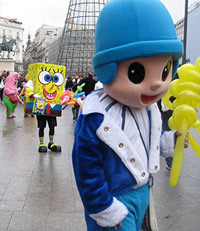 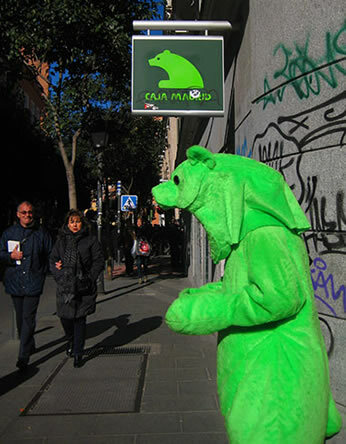 The logo of a large savings bank inspired us to have a mascot costume of it made, similar to those we encountered on the streets of Madrid. 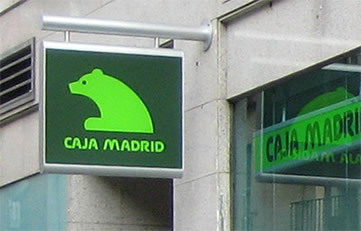 At that time, many Spanish savings banks were affected by the financial crisis and their continued existence relied heavily on public funding. 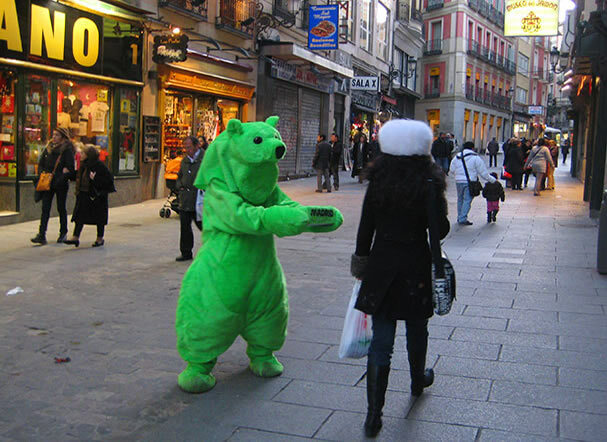 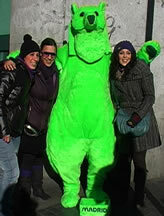 The green bear, a figure many people had entrusted their savings with, suddenly appeared as a precarious walking-act in public space.